No presentation is complete without pie charts and line graphs. But it is only rare that we find ourselves drawn to a chart or a line graph. And that is because there’s too much data in there to ever make an impact. We’ve all been taught to limit data and add more images/ graphics in our presentations. But then we found a loophole in charts and graphs and now we’re back to square one. So here’s a quick visual comparison on what PowerPoint pie charts must look like to actually make an impact. 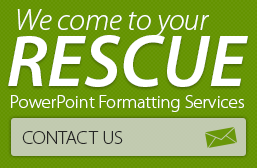 These guidelines will help users make better use of PowerPoint pie charts. 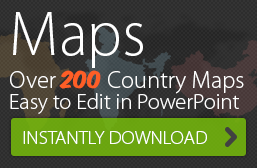 Watch out for more cool PowerPoint map tutorials!